Sometimes the simplest gift creates the biggest connection. Like this fall, when Lisa Myers gave her husband Jeff a cookbook for his birthday. “We like to cook together as a family on Sunday nights,” Lisa says of her husband, chair of head and neck surgery at MD Anderson, and their three teenaged and twenty-something boys. So when James Beard Award-winning chef Michael Solomonov and his business partner Steven Cook released their new book, Israeli Soul: Easy, Essential, Delicious, two days before Jeff’s birthday, Lisa knew exactly what to give her husband. “We love [Solomonov’s] restaurant in Philadelphia,” Lisa says of the renowned Zahav. 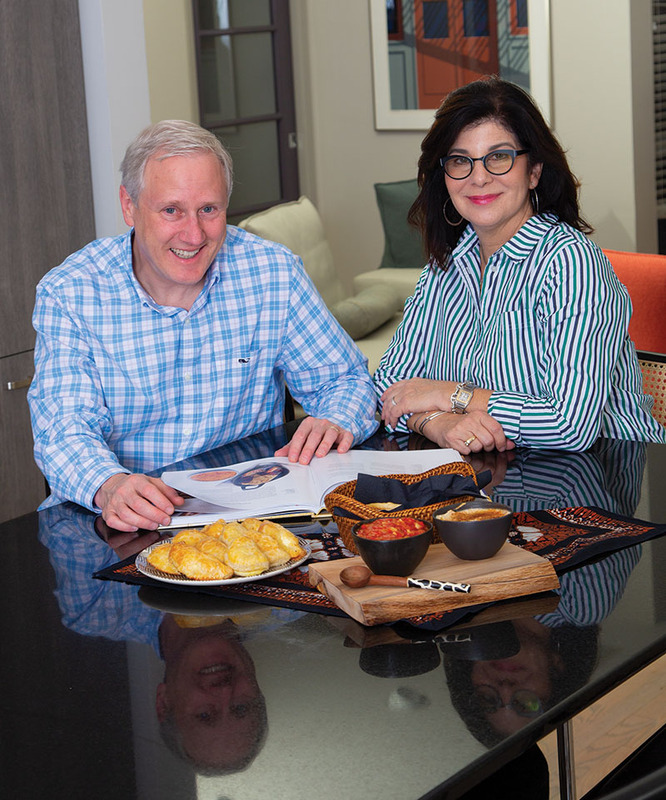 The Myers already enjoyed cooking from Solomonov’s first book, Zahav: A World of Israeli Cooking, which won the James Beard Book of the Year and Best International Cookbook in 2016. “We love the food, and it’s not hard to make,” she says. “We make the hummus, of course, and tahini, and normally the kids will cook, too, and Blake will make the pita bread.” Bon Appétit named Zahav’s hummus its 2015 dish of the year, and renowned chef and author David Lebovitz called it “life-changing … in another stratosphere.” Lisa was excited to give Jeff this new book. If, like Lisa, you’ve got some food-loving friends and family to buy for this holiday season, a cookbook (or two) might be just the thing. The Barefoot Contessa’s newest book is “a great one, because it’s actually teaching people how to cook,” Marcia says. “It gives really practical learning information.” Food & Wine and several blogs and magazines call Cook Like a Pro one of the best and most-anticipated cookbooks of 2018. The famed restaurateur and author of Middle Eastern bibles Jerusalem: A Cookbook and Plenty: Vibrant Vegetable Recipes from London’s Ottolenghi penned this new book as, well, simple, with quick-to-make and make-ahead recipes using pared-down ingredients, often in one pot. 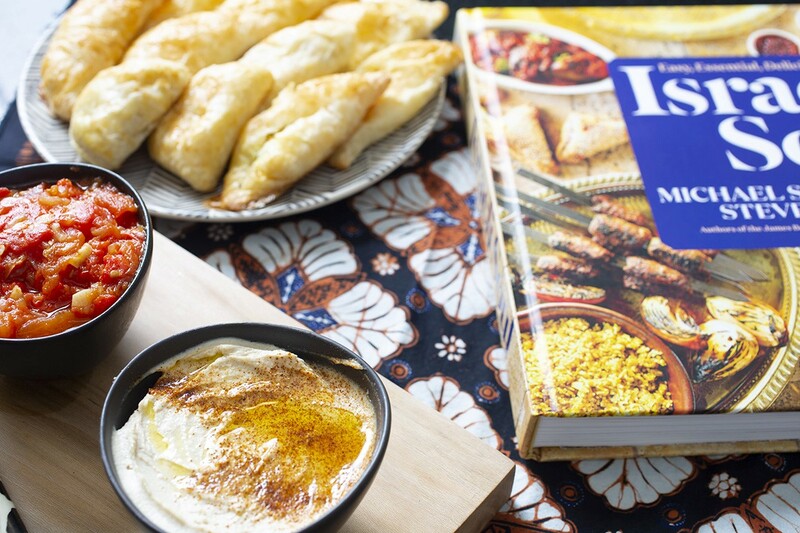 “This is weeknight, simple cooking, with those awesome Middle Eastern flavors he’s known for but with much easier prep,” Marcia says. “Gina’s books always fly off the tables at the Kinkaid book fair,” Marcia says. Her recipes are easy to make, healthy and delicious – the kinds of recipes that go straight into regular rotation. This new book is more of the same, just using one pot or pan. “Every once in a while I’ll do a cocktail class, and I love to collect cocktail cookbooks,” Marcia says. “This is a beautiful one, so it would be a great gift book.” Named one of the best cookbooks and best cocktail books for Fall 2018 by The New York Times and Food & Wine, respectively, Apéritif promises recipes for a daily evening “reset” in the form of drinks and light snacks.